Whoops, looks like I spent the week slacking off on blog responsibilities…which stinks because I had just gotten into a great posting routine. Sometimes I just don’t want to measure stuff when I cook. But honestly, I guess my lackadaisical effort has mainly been a mix of being moody all week and only wanting to eat nachos for every meal. It’s frustrating that my resolutions for the year have already stressed me out, but it’s Friday and I’ve finally decided that it’s time to stop sulking! 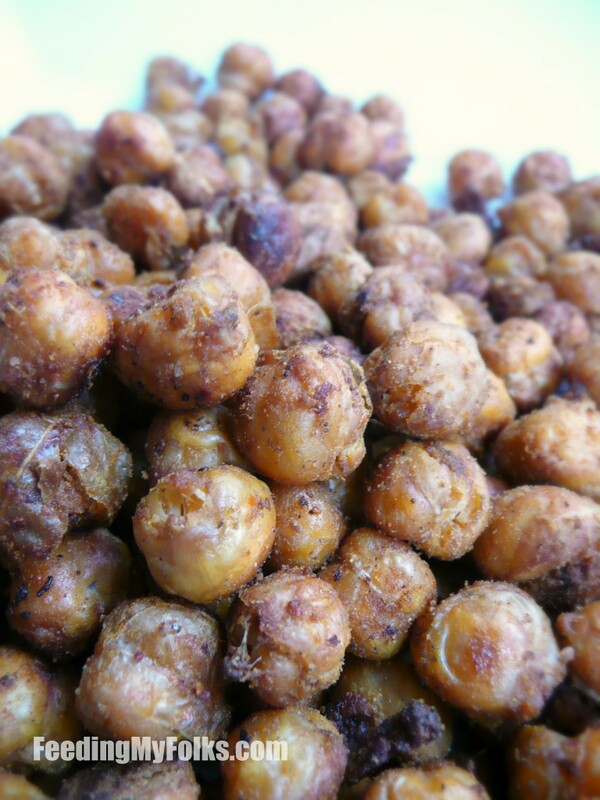 So here’s a healthy snack recipe for everyone to enjoy – crispy roasted chickpeas. I’ve been making them for years and they honestly might be one of the most addictive things I make (my mom can attest to that!). I know roasted chickpeas sounds kind of weird. Like who wants to snack on a bean? But there’s something about the mix of spices and roasty toasty flavor with that distinctive dehydrated crispness that just makes you want to grab these chickpeas by the handful. And it’s incredibly simple to make too! Just keep an eye on them in the oven…the burned ones don’t taste too great! Oh, and wanna know a secret? I very rarely measure any of the spices I put on these buggers. Yup. It’s kind of a “just toss on whatever spices I pick up” type of thing. So go wild! Put the rinsed chickpeas on some paper towels. Pat dry. Add to bowl. Add oil and seasonings. Toss to coat. Pour chickpeas onto a baking sheet and bake for around 40-45 minutes, stirring every 10 minutes. these look amazing..can’t wait to try them! Let me know what you think, Belinda! If you have cumin, sprinkle that on too (I ALWAYS run out of it haha). 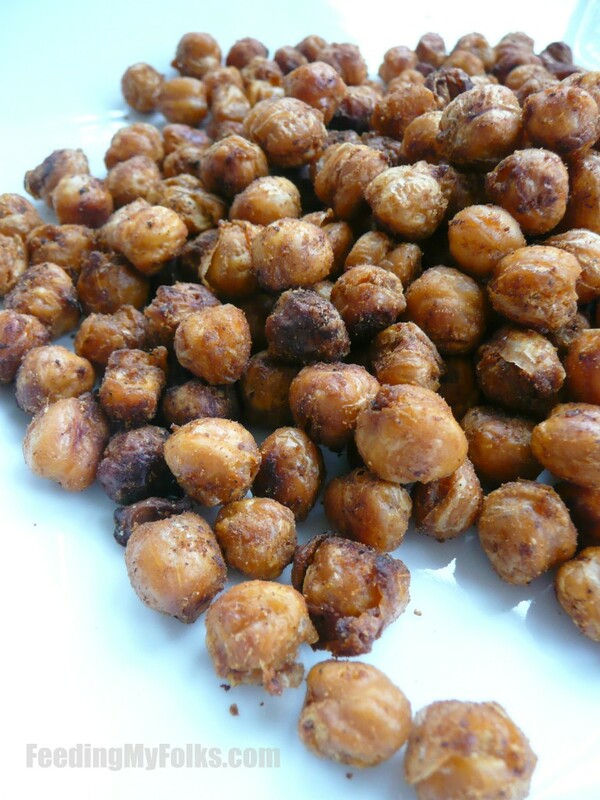 I usually am not the biggest fan of chickpeas…at all…but roasting them makes them seem so delicious! They get crunchy and awesome. Give them a try, Jen…you might surprise yourself!